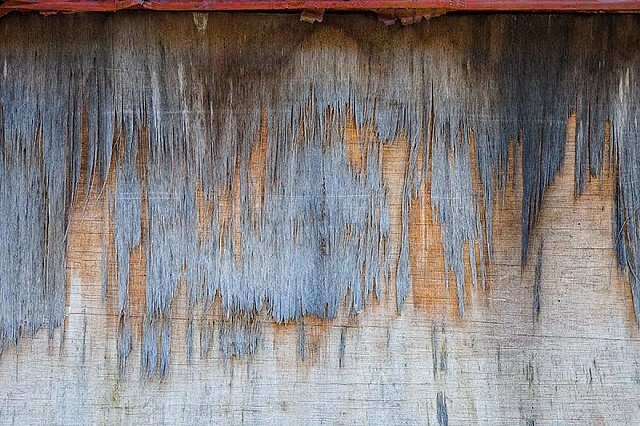 On the side of a dilapidated shed built with plywood, I noticed that the top layer of veneer, which had been painted blue at one time, was disintegrating and pulling away. The strip of rusted metal along the top had originally been a supporting frame. This, combined with the visual layers of aging on the underlying wood, creates tonal gradations and a complementary colour palette of blue and orange.